The Biggest Trend in Booze? Celebrity-Owned Spirits. Conor McGregor's Proper No. Twelve was an extremely successful booze launch last year. Not a joke. They might be checking inventory. While celebrity and alcohol are a pairing with a long history — witness the love affair between Jack Daniel’s and Frank Sinatra, which partners with the late singer/actor’s estate to this day — the last decade has seen an ever-increasing number of A-level actors, directors and musicians taking on financial and creative stakes in the booze business. Just last week, Heaven’s Door Spirits, a series of American whiskeys co-created Bob Dylan, announced the opening of Heaven’s Door Distillery and Center for the Arts in downtown Nashville, which will open in the fall of 2020. That’s pretty impressive for a brand that only started in 2015. Impressive, but maybe not so surprising considering that Dylan is a full partner in the company and features prominently in marketing campaigns. The bottle’s artwork is derived from his ironwork sculptures and the singer provided the brand with some inscrutable tasting notes during the whiskey’s creation. It’s not like Dylan hasn’t lent his name or music to brands before, but for Heaven’s Door, the singer is showing an unusually strong commitment to building his own liquor brand. So why are celebrities flocking toward alcohol? Diddy can credit his partnerships with Ciroc vodka and (more recently) DeLeon tequila to growing his reported $825 million in wealth. According to Zack O’Malley Greenburg (author of 3 Kings: Diddy, Dr. Dre, Jay-, and Hip-Hop’s Multibillion-Dollar Rise), Diddy’s “marketing panache” with Ciroc in the late aughts helped raise the brand from the world’s 50th-ranked premium vodka to the number-two seller in the category. “Two years and 700 samples later it was perfect,” Gerber said just before the billion-dollar sale, while also claiming the commercial aspects of Casamigos only started because the partners had to get a commercial license to import the bottles they curated into the U.K. From there, a U.S. distributor took notice, and the rest is history. While it requires a bit of imagination to believe the three partners simply started the brand out of a shared love of agave, there’s no denying that they put in the work (in terms of marketing and investing, at least) and hit on the tequila craze at just the right moment. For others, like director Steven Soderbergh and his brandy-like Singani 63, starting a liquor brand is (seemingly) rooted in a sincere interest in the spirit — a very non-lucrative interest. 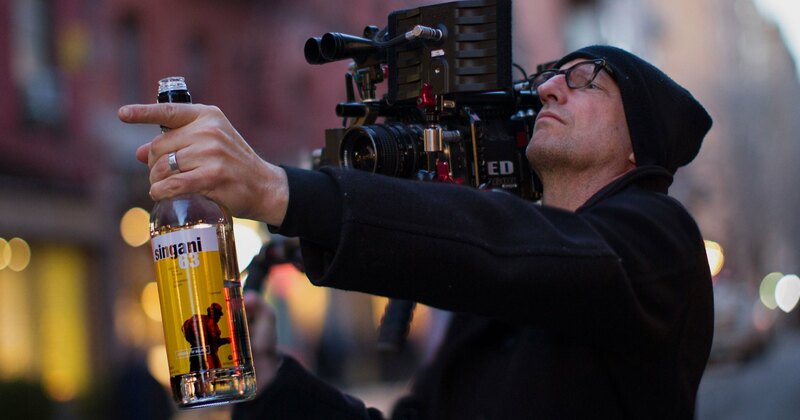 “I discovered Singani during a movie shoot back in 2007,” Soderbergh told InsideHook during a brand-awareness bar crawl a few years back. “The Americans on the crew asked me, ‘Why not try bringing it to the U.S.?’ I thought, naively, people bring spirits to the market all the time! It must be simple.” Instead, the process of even getting the spirit imported to the U.S. took five years. There are also craft brands that operate under the belief that partnering with a celebrity after launch can increase visibility and offer consumers a bit of insider status, as brand licensing head Michael Stone explained to the New York Times. “People are looking for some of the fairy dust to be sprinkled on them from that celebrity’s lifestyle,” he said. Recent examples of celebs coming on board after a spirit’s launch include Stillhouse whiskey (G-Eazy) and Aviation Gin (Ryan Reynolds). Depending on what day it is, the Deadpool star either has passionate interest in Aviation or his involvement is a pure business venture mixed with a side of snark (as Reynolds noted on The Tonight Show: “I know nothing about gin. If I ran the company for real, it’d be on fire.”).